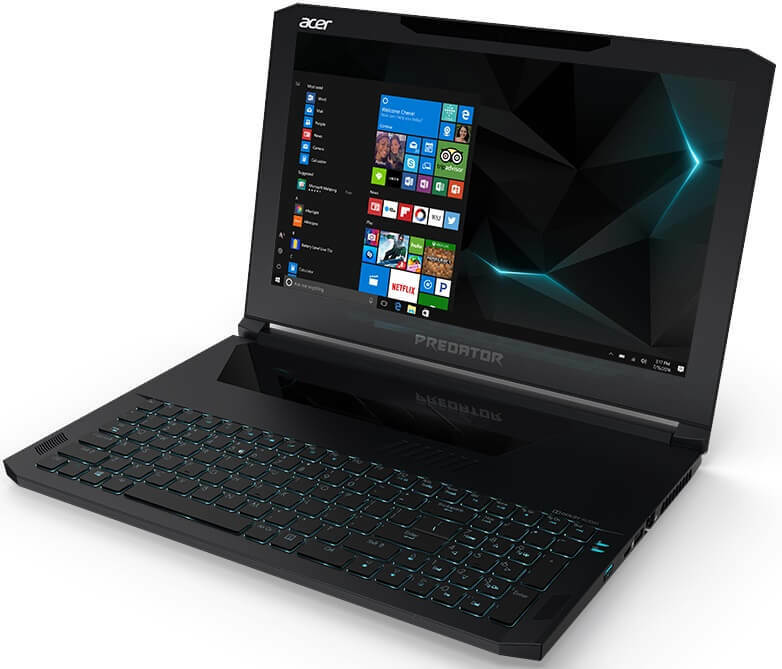 Housed in an 18.9mm and 2.6kg aluminum chassis, Acer has unleashed its powerful and thin Predator Triton 700 gaming notebook that sports a right balance of size and performance without sacrificing thermals, features or rigidity. As the first of the new ultrathin Predator Triton gaming notebook series, the Predator Triton 700 comes with a 15.6-inch FHD IPS display. Its understated black chassis features a minimalist design, with straight contours and angular front corners. Its large Corning Gorilla Glass placed above the keyboard serves as a window into the notebook’s cooling system to showcase the AeroBlade 3D Fan and five heat pipes, and it also functions as a touchpad (similar technology found on their flagship Predator 21 X). Powered by 7th Gen Intel Core processor, it is also equipped with NVIDIA GeForce 10-series graphics, two NVMe PCIe SSDs in RAID 0 configuration, and up to 32GB of DDR4 2400MHz memory. Offering an immersive gaming experience, the VR-ready Predator Triton 700 gives bright, vibrant visuals with NVIDIA G-SYNC support for connecting to an external monitor. Also, PredatorSense software enables gamers to control and customize the notebook’s vitals from one interface that includes lighting, hotkeys, fan control, and general system monitoring. The exact specifications, prices, and availability of Predator Triton 700 gaming notebook will vary by region. For instance, it will be available in August in North America with starting price of US$2,999, while an SRP of 3,390 euro would be the cost when purchase in Europe, Middle East, and Africa.